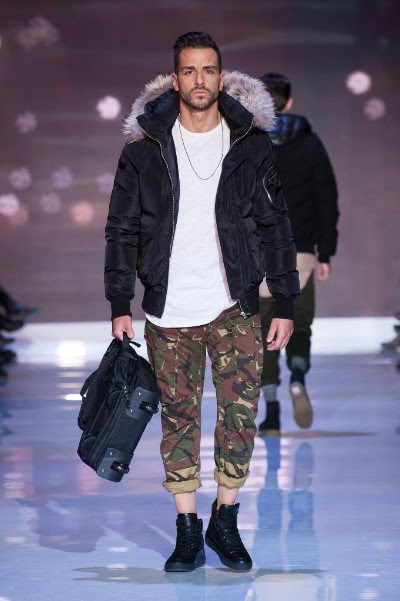 Day Two at Toronto Men’s Fashion Week, or TOM*, and Burntlime Canada’s debut was a show stopper! You would never know the March 10th show was at that oh so tricky opening time slot by looking the audience full of excited family, friends, and fans, including Kat McNamara and Dominic Sherwood from the hit Netflix show Shadow Hunters, Sony Music recording artist Langston Francis, and Toronto Raptors Assistant Coach Harry Onochie Ezenibe. Designer Albert Chow and business partner Rembert Koon showcased a powerful collection of both men’s and women’s looks. 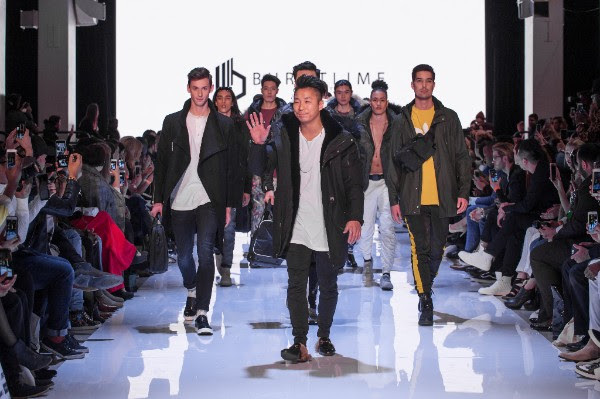 Burntlime Canada continues to draw inspiration from the Canadian marketplace and will be answering the growing demand for alternatives to animal products by incorporating synthetic downs for FW19’s collection and creating a brand new waterproof collection for SS19.